Golf instruction, available for both members and non-members, is a valued service at Columbia Edgewater Country Club. By using world class practice facilities and state-of-the-art teaching technology, our PGA teaching professionals focus on strong fundamentals and advanced understanding of the golf swing to help students rapidly realize concepts for improving their entire golf game. 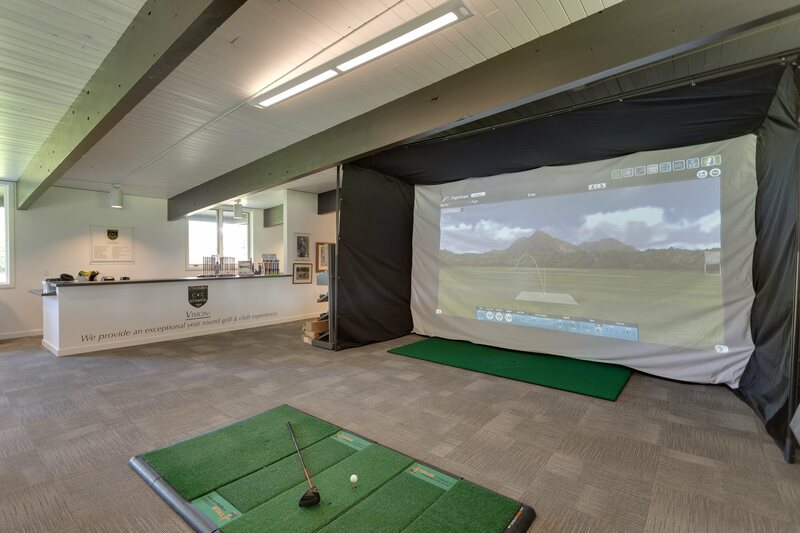 Located in the Pro Shop, the golf simulator allows members to play virtual golf on select courses in a lounge setting along with state-of-the-art launch monitor for club fitting and lessons. We recently purchased the GC2 Quad. pro shop directly at 503-285-8354.